Deep Purple guitarist Steve Morse has confirmed the legendary band are planning to work on a new album this year. "We're starting two albums — one with Flying Colors and one with Deep Purple,” Morse told Andertons Music Co. at the NAMM show in Anaheim, CA recently, as seen in the video below. “And I know there's more Deep Purple gigs that they haven't announced yet, so don't tell them that I told you so… This year, I think it might be U.S., but there's nothing booked for sure. I'm running on rumor power." The set would mark the follow-up to 2017’s “InFinite”, which was recorded with producer Bob Ezrin in Nashville, TN. 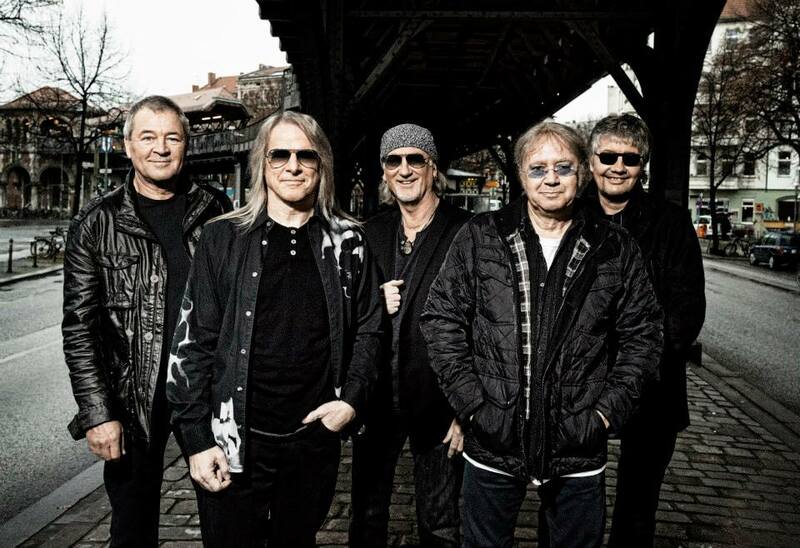 Following that project’s arrival, Deep Purple launched the “inFinite – The Long Goodbye Tour”, which wrapped up its 2018 live dates in November and, as Morse hinted, may resume at some point in 2019. During the trek, the group also released “The Infinite Live Recordings, Vol. 1”; the package captures Deep Purple’s performance at France’s Hellfest in 2017.